Curtis Chips sind die Basis für polyphone Synthesizer, es kann also sein, dass wir da bald mehr sehen – auch von Firmen die nicht so etabliert sind. Mehr dazu habe ich bei GN ausgeführt. ON Semiconductors (Ex-Motorola Semi.) für die Neuauflage anfordert. Außerdem soll wohl das Filter 3320 folgen, auch das ist bisher ein Gerücht. 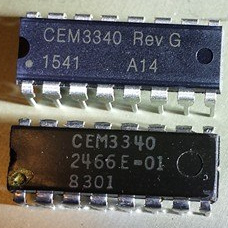 Seems like we will see more polyphonic or other analog synths in the future since Curtis re-issued the 3340 CEM VCO – maybe a beginning of something? VCFs? anyone? 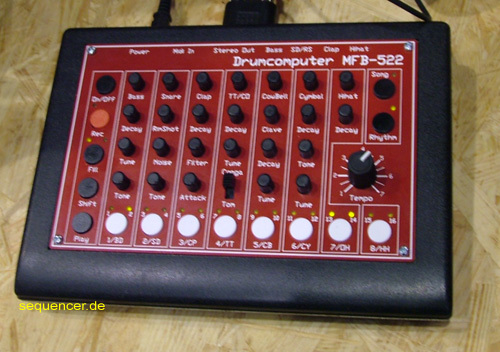 Well – should be lots of synths soon – and easier repair – but maybe no new synth needs VCOs, LFOs oder Envelopes from CEM Chips since this can all be done well digitally – see Roland System 1 etc. and maybe something … more. anyway – the future is retro? and hey, will someone ask if they sound „the same“? as..?